As we all know, the Indian economy has witnessed a drastic change in the form of the Goods and Services Tax (GST) on 1 July 2017. And, all the aspects which anyhow relate to the taxation faced the impact of GST implementation. To understand GST easily, the Council had rolled out a list of more than 1200 items on May 18, which were categorized into five segments, attracting different tax rates including 0%, 5%, 12%, 18% and 28%. Under GST regime, a lot of important items become inexpensive. 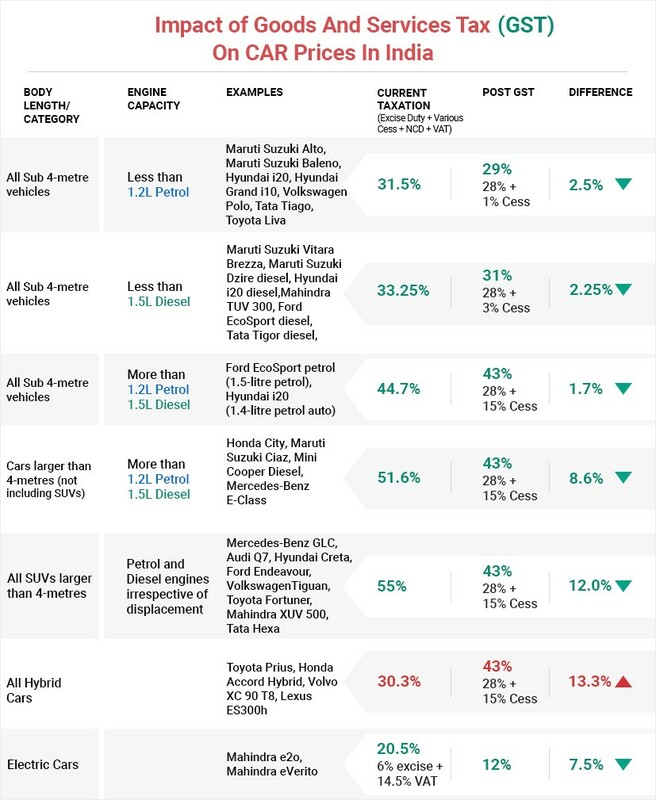 While automobile sector faced mix effects. Under this new tax structure, the standard tax rate for the car was 28% and some additional cess. After about 2 months, the GST rates had been revised including After 2 months, the GST rates had been revised including mid-sized, luxury and SUV cars which observe a hike in rates owing to increased cess. Post imposition of new rates, the cess on mid-sized cars increased by 2 percent and the effective GST rate become 45 percent. 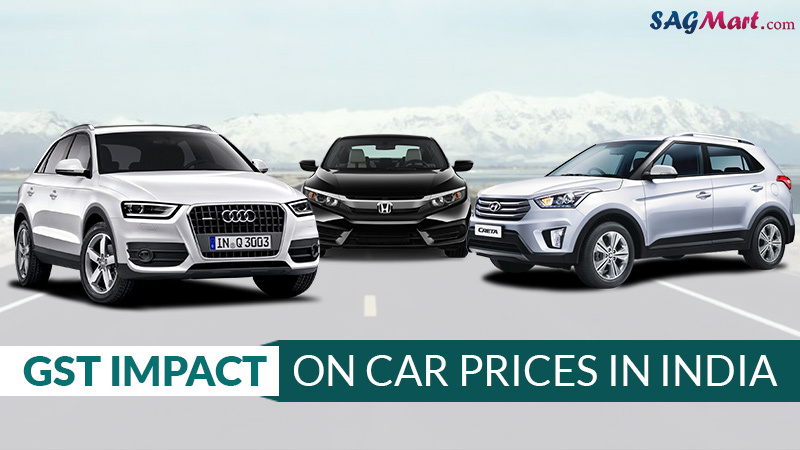 The large cars observed a growth of 5 percent taking the effective rate to 48 percent, while the SUVs rated 7 percent costlier and taken the total GST incidence to 50 percent. Other than this, under revised cess, rates small petrol and diesel cars along with hybrid cars have been exempted from the increase in cess rates.